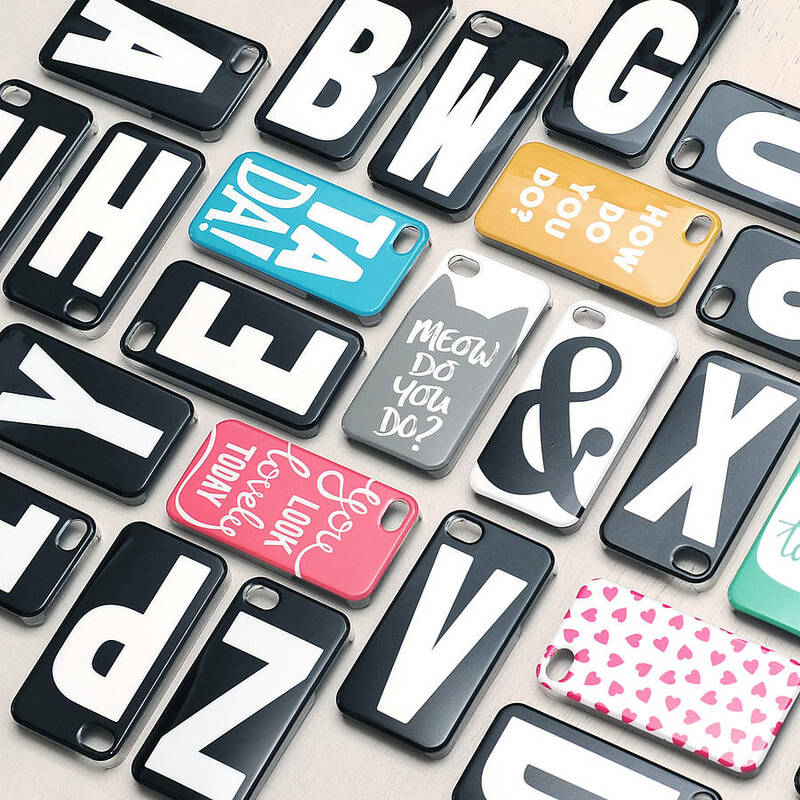 Bold initial iPhone case from Alphabet Bags. 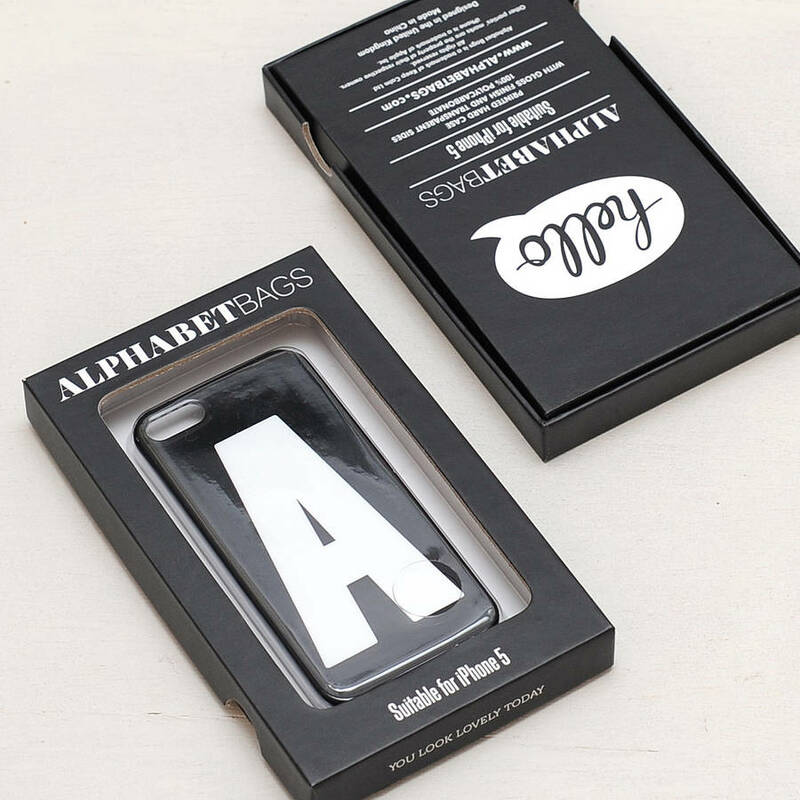 Personalise your iPhone with your initial or favourite letter of the alphabet with this gloss plastic hard case! The beautiful bold initial design has been printed in black and white. The case has transparent sides and a clear gloss finish which protects the print underneath. The case clips to your phone neatly and its slim design compliments the shape of the phone perfectly. Packaged in a lovely sturdy cardboard box, for easy wrapping! 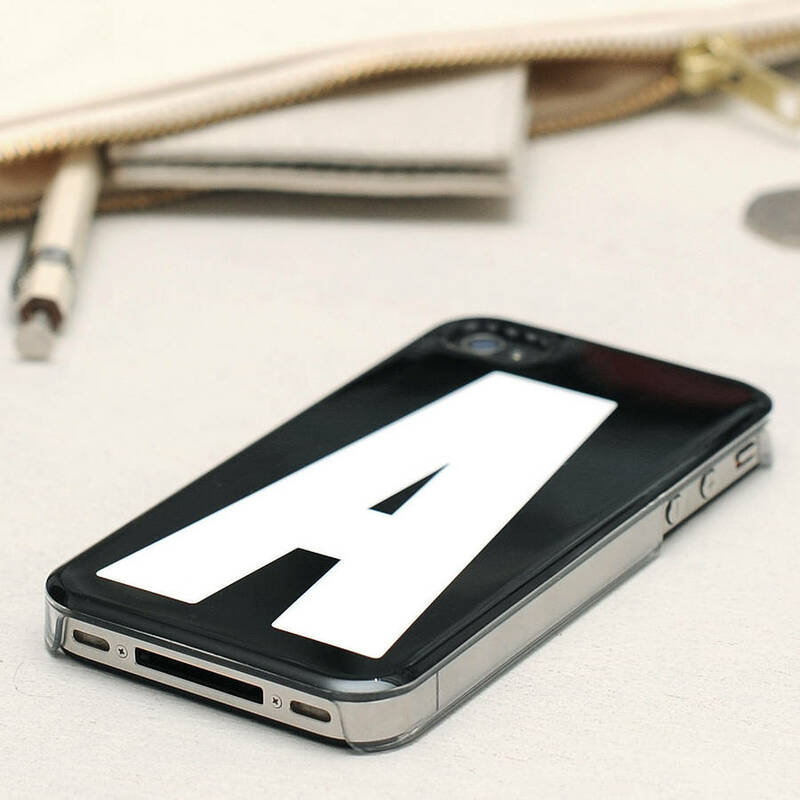 Our iPhone cases are available in every lovely letter from A to Z! 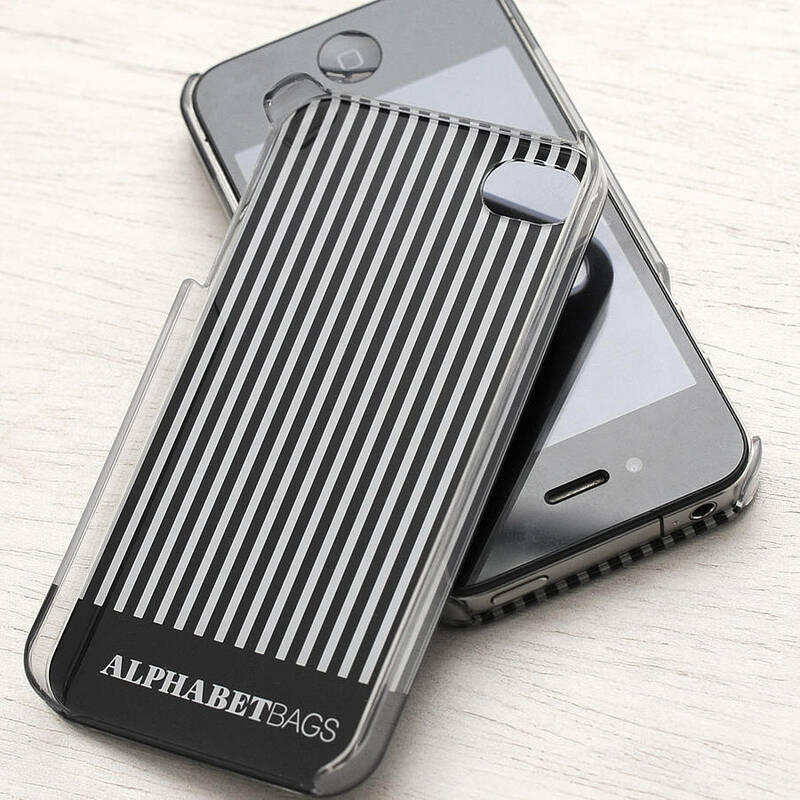 Suitable for iPhone 5/5S/SE. Please select your chosen initial using the option to the right. 100% polycarbonate hard case with gloss finish. Printed in black and white.